These babies make us wanna do a happy dance. 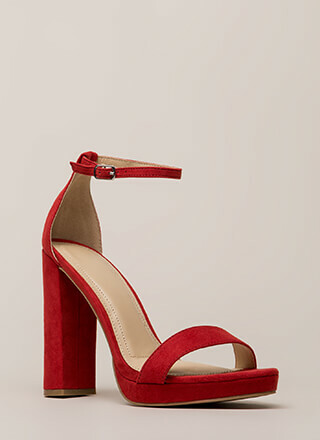 Chunky, open-toe, vegan leather heels feature an ankle strap with an adjustable buckle and skinny straps throughout that are twisted together, creating a cut-out caged look. Shoes are finished with an exposed heel and a ridged sole.